Jack: Hey, guy. This is Jack from Angel Home Solution. I just want to create this quick video. Was listening to a podcast, inspirational podcast, to get my days going. That’s what usually I do while driving. Pick up a very key thing about you don’t have to lose for other to win. I don’t have to win … I don’t need you to lose for me to win. That is really powerful. I don’t need you to lose in order for me to win. We here in the business to add value. We want to make sure that you are better off with us than you go out doing the stuff yourself. So it is a win/win. We earn the business. We are expert in the area. We know what we do and we provide a value and the resources to you and you don’t have to deal with all the issue, all the rehab and stuff. That is how we look at it. 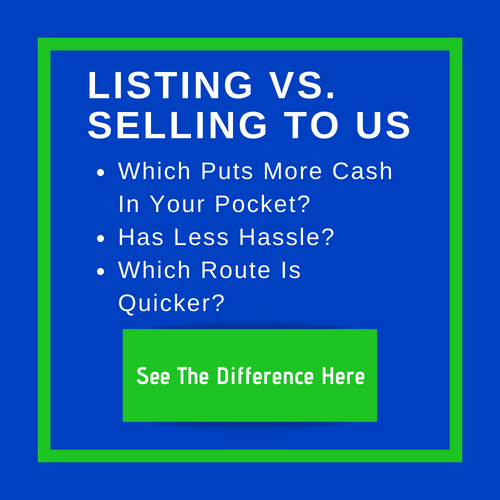 The same go true as well if you were to list a house with a real estate agent, and if I were to put an offer for that listing, for your house, I would put the same offer in, would end up buying the same price, but you end up paying extra agent commission. You pay the closing cost and who know when and time. Time is money. So it is really you don’t have to lose in order to win. We can both win together by working out something that work for you guy and something that work for us as a business. We definitely move very fast. You probably end up spending less money or putting more money in your pocket at the end. Think about the holding cost, that you have to hold the property, the cleanup cost before you can list the property, and then all the rehab that you might have to do. And then don’t forget, the price that agent give you is an estimate. You don’t know. You don’t have a defined price or defined closing date. Those are two variable that can vary a lot. With us, you have a defined price and also a defined closing date. If that doesn’t work … what I’m saying is, upfront also if you have any … After that, the defined date and defined price, we are very flexible. We cover all your closing cost and all the stuff. Think about all the factor. Factor including … you probably end up putting more money in your pocket or spend less, both time and money. Think about your holding cost is one, your rehab cost, your cleanup cost and the headache dealing with contractor and the time it take to close the house. And then after you get a offer from the end-buyer, they more than likely will do inspection and identifying little thing here and there and then ask you to fix all of that or ask you to reduce the price, ask you to cover their closing cost, and all those stuff. It happen, it’s fact. Think about all of that. Going with us, you probably end up spending less of that and end up putting more money in your pocket at the end of the day. Those are the benefit, and I think that is the win/win. You don’t have to lose at all in order to win. I hope this also resonate with you, and if there is any question or is there anything that we can help with, please feel free to reach out to me or to the team. We’ll take care of you. Thank you. Bye.